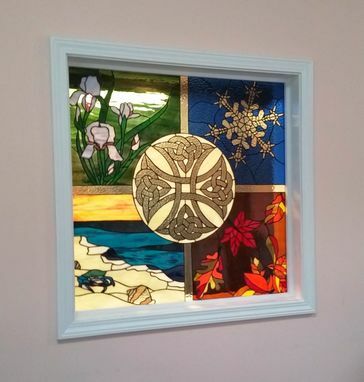 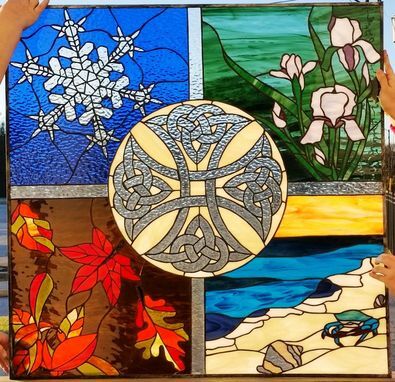 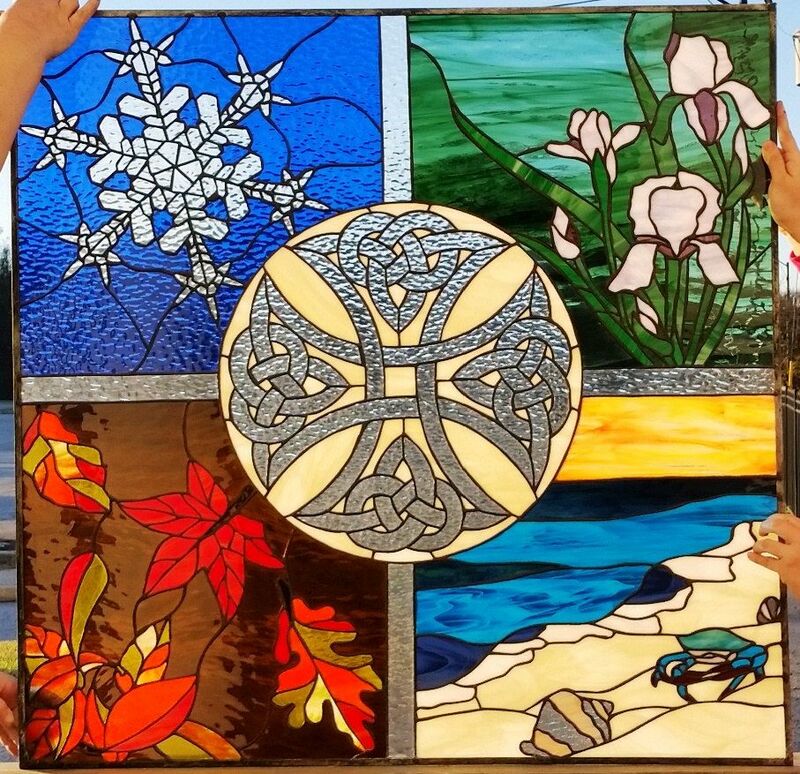 This outstanding piece features the celtic cross in the middle and 4 blocks around it that have imagery of the four seasons: iris for spring, a snowflake for winter, all different shapes of leaves for fall and a beach scene with seashells, a small crab and water for summer. 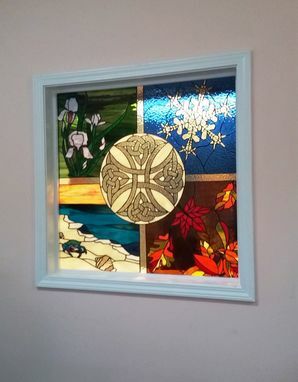 Size is 38 11/16w x 38 ¼ t.
As you can see on this window, we can create a piece following your notes not only on design but also on glass colors. 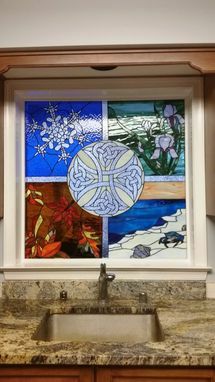 We are always happy to work along with our customers to get the piece they envision!